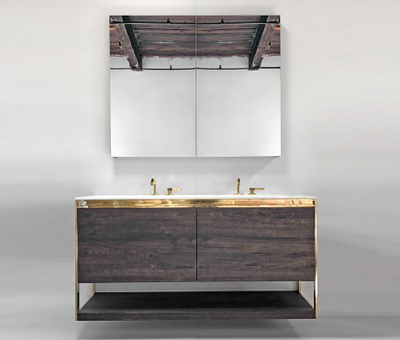 The Furniture Guild mixes high-end design with practical functionality to create the newest addition to their 600 Series of heirloom-quality bathroom vanities. 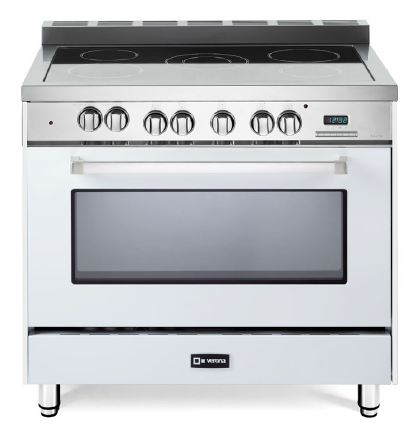 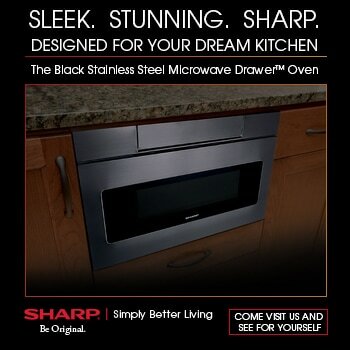 Introducing the Avant 620, a modern masterpiece with a sleek, wall-mounted design and distinctive metal trim. 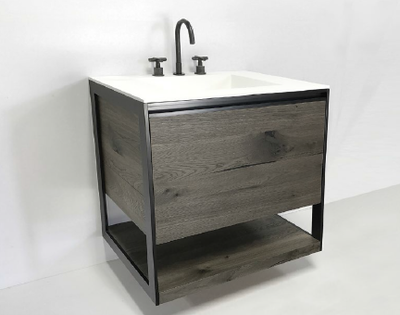 This beautiful vanity offers abundant storage with a taller-than-average 30" height that includes two-tiered storage inside, plus an open shelf for towels and other bath accessories. 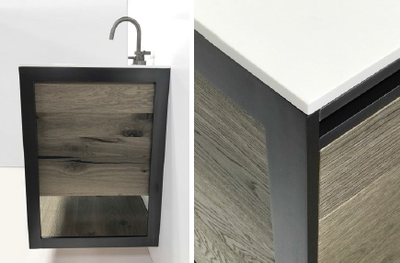 With minimalist lines and an elegant yet contemporary vibe, Avant brings a dramatic pop of style to any luxury-minded bathroom.